The study was conducted in twelve villages of four unions under Gopalpur upazila in Tangail district of Bangladesh to explore the diversity of multipurpose tree species in the homesteads and its impact on the livelihood of the farmers in 2016. Study sites were selected purposively as the location. A total of 3334 farmers of the 12 villages constituted the population of study. A sample of 12% farm families was selected based on stratified random sampling procedure. Thus 400 farmers were selected. However, 80 farmers were selected from 400 sampled farmers by using Yamane formula. Therefore, these 80 farmers constitute the sample for this study. Five percent (0.05) level of probability was used as the basis for rejection of any null hypothesis throughout the study. Data for the study were collected through personal interview by the researcher himself during 15 May to 25 December, 2016 using the interview schedule. Farmer’s opinion regarding multipurpose tree species in the homesteads and its impact on socio-economic development was the dependent variables of the study. Ten characteristics are age, education, occupation, family member, farm size, homestead area, annual income, socio-economic aspects, knowledge on Multipurpose Tree Species (MPTs) in homestead agroforestry and problem confrontation constituted the independent variables of this study. Species diversity of MPTs in the homesteads agroforestry was measured by Shannon-wiener index (H). In case of all species, highest index (H) value found in Jhaoail union (H=3.017) and lowest index (H) value found in Dhopakandi union (H=2.967). Among these 75 different plant species, Akashmoni (12.53 %), Jackfruit (18.28 %), Neem (1.45%), Bamboo (3.72%), Mander (2.03%) were found as dominant trees for timber, fruit, medicinal, fodder and fuel wood species respectively. MPTs had direct impact on income of the farmers. Small farmers had average income 13.21 thousand taka, Medium farmers had average income 29.33 thousand taka and large farmers had average income 45.79 thousand taka from MPTs in homesteads. Adebehin, I. P., Igboronoga, A. B. I. and Omijeh, J. E. (1990). Potentials of agroforestry for food and wood production in the Savanna areas of Nigeria, Savanna Agriculral Extension and Research Liaison Services (NAERLS). Ahmadhu Belo University, PMB 1967, Zaria, Nigeria. 11(2): 12-26. Abedin, M. Z. and Quddus, M. A. (1990). 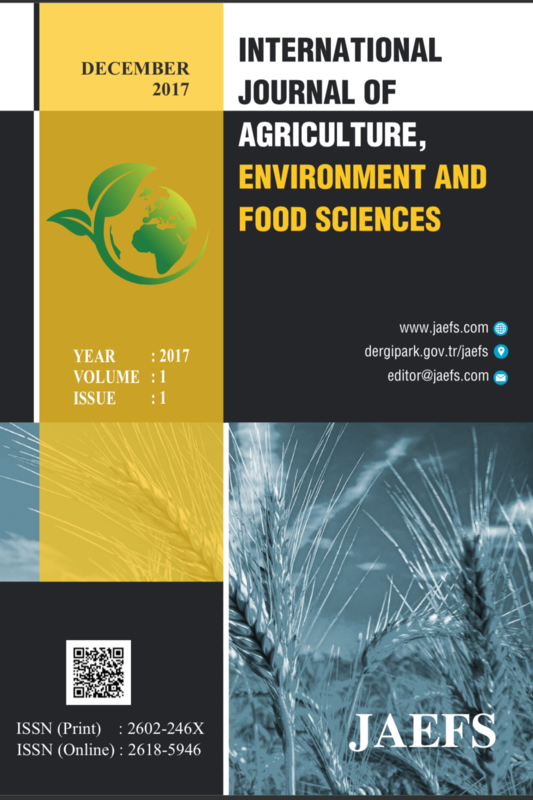 Household fuel situation, homegardens and agroforestry practices at six agro-ecologically different locations of Bangladesh In: Homestead Plantation and agroforestry (Abedin et al. eds.). Procedding of a National workshop held 12-17 July, 1988 in Joydebpur, Bangladesh, BARI. pp. 19-53. Aearwal, F. U. (2011). Agroforestry in Bangladesh with special reference to northern Bangladesh. 17-20 September, 2011 in Gazipur, Bangladesh. pp. 1-10. Ahmad, H., Martadiharuja, A. and Suharto, A. (1980). Social and cultural aspect of home garden. Tropical Ecology and Development, Furlad, J.I. (ed. ), Kualalumpur, Malaysia, pp. 105-115. Ahmed, F. U. (1997). Minor fruits in homestread agroforestry. In agroforestry Bangladesh Respective, Alam et al. (eds.). APAN/NAWG/BARC. pp. 165-169. Aireen, S. Q. (1992). An economic analysis of women’s work in homestead farming in a selected area of Bangladesh. M. Sc. Econ. Thesis, Submitted to the Dept. of Agricultural Economics, Bangladesh Agricultural University, Mymensingh. Alison, S. D. (1994). Upazila Bonayan and Nursery Prokapa Parchiti. Bangladesh Forest Department, Ban Bhaban, Mohakhali, Dhaka, Bangladesh. Awal, M. A., Islam, M. R. and Chowdhury, E. R. (2002). Homestead fruits and vegetables production and utilization systems, in a selected area of Jamalpur distreict. Bangladesh J. Training and Dev. 13(1 & 2): 34-45. BBS. (2014). Statistical Year Book of Bangladesh. Bangladesh Bureau of Statistics, Ministry of Planning, Government of People’s Republic of Bangladesh, Dhaka. pp. 91-93. BBS. (2014). Statistical Year Book of Bangladesh. Bangladesh Bureau of Statistics, Ministry of Planning, Government of People’s Republic of Bangladesh, Dhaka. pp. 44-50. BBS. (2013). Statistical Year Book of Bangladesh. Bangladesh Bureau of Statistics, Ministry of Planning, Government of People’s Republic of Bangladesh, Dhaka. pp. 28-39. BBS. (2012). Statistical Year Book of Bangladesh. Bangladesh Bureau of Statistics, Ministry of Planning, Government of People’s Republic of Bangladesh, Dhaka. pp. 93-96. BBS. (2011). Statistical Year Book of Bangladesh. Bangladesh Bureau of Statistics, Ministry of Planning, Government of People’s Republic of Bangladesh, Dhaka. pp. 107-110. Belali, M. H. (2011). Study on homestead agroforestry and species composition in Sonargaon upazila of Narayangonj district. M.S. thesis, Department of Agroforestry, BAU, Mymensingh. Burley, J. and Carlowitz, V. P. (1984).Multipurpose tree germplasm. Nairobi: ICRAF. pp. 318. Byron, N. (1984). People’s forestry a novel perspective of forestry in Bangladesh ADAB, Dhaka.11: 31-37. Chowdhury, M. K. and Sattr, M. A. (1993). Homestead and crop land agroforestry Practices in the High Ganges River Flood Plain, Research Report Serices-2, BARC- Winrock Int., Dhaka. pp. 23-55. Chowdhury, F. U. (1988). Minor Fruits in homestead agroforestry. In: Agroforestry Bangladesh Perspective, Alam et al. (eds.). pp. 165-169. Cohen, M. H. and Holiday, K. H. P. (1982). Production of homestead enterprises. Implication on income and women’s status. Bangladesh J. Agril. Econ. 36(7): 28-34. Das A. N. and Oil, B. N. (2001). Tree growing practices on farmland : an option for sustaining rural livelihood. Banko Janakari. 11(2): 8-12. Dasgupta, S., Azma, A. K., Rahman, M. and Islam, K. D. K. M. (1988). Agroforestry status homestead area on Vaskarkhills farming system research site. Kishorogonj (Bangladesh). Proceeding of National Workshop on Homestead Plantation and Agroforestry in Bangladesh, BARI, Joydebpur. Dewees, P. A. (1989). The wood fuel crisis reconsidered: Observations on the dynamics of abundance and scarcity. World development, Pergamon Press Plc, Great Britain, 17(8): 1159-1172. Doglas, J. S. and Hart, R. A. (1973). Forest farming watking, London. Doglas, J. S. (1983). Future wood requirements and Bamboo Usage in Bnagladesh. Proceeding of the second Bangladesh National Forestry Conference, Dhaka, Bangladesh. pp. 261-268. Egawa, Y., Fukamachi, H., Ishaq, I., Kuswara, E. and Jaeny, M. (2004). Indigenous upland crops and fruit trees cultivated in the local farming systems in west Indonesia.JIRCAS Working Report 43: 219-226. FAO (Food And Agricultural Organization ) (1988). Production Year Book No. 65. FAO, Rome, Italy. p. 97. FAO. (1986). Tree growing by rural people, Forestry paper 64. Fernandes, E. C. M. and Nair, P. K. R. (1986). An evaluation of the structure and function of tropical homesteads. Agricultural syste. 21: 278-310. Fernandes, E. C. M. and Nair, P. K. R. (1990). Women role on homestead agroforestry. In: Homestead and agroforestry in Bangladesh. Fokrul, I. and Fazlul, H. M. (1994). Gender issur in homestead farming. A paper presented at the Third Asian Farming System Symposium, Manila, Philiphine. Global bio-diversity. (1992). Status of the earth’s living resources. A report compiled by the World Conservation Monitoring Center, U.K.
Halim, A. and Hossain, M. (1994). Time allocation by farm family members and its impact of farm income. Bangladesh J. Agril. Sci. 10(2): 153-161. Halim, A. and Islam, M. S. (1998). Women in homestead agricultural production. Bangladesh J. Rural Deve. 18(20): 83-96. Haq, I. L. (1986). The role of Biomass Production, Science and Technology Division, Ministry of Education, Government of People Republic of Bangladesh. Haque, M. A. (1994). Village and Forestry in Bangladesh. Joint. Pub. Bangladesh Agricultural University, Mymensingh and Swiss Development Co-operation, Dhaka. Haque, M. A. (1996). Homestead agroforestry in Bangladesh, In: Agroforestry in Bangladesh, VFFP, BAU, Mymensingh and S.D.C., Dhaka. pp. 64-74. Hocking, D. (1986). Village and farm forestry in Bangladesh. Oxford Forestry Inst., Oxford. p. 34-40. Hossain, S. M. A. and Bari, M. N. (1996). Agroforestry farming system. In Agroforestry in Bangladesh (Haque M.A. ed.) pp. 22-29. Village and Farm Forestry Project, SDC, Dhaka and Bangladesh Agricultural University, Mymensingh. Hossain, S. M. M., Abedin, M. Z. and Hussain, M. S. (1988a). Women role in homestead agroforestry in Bangladesh. Proceeding of the national workshop on Homestead plantation and agroforestry in Bangladesh, BARI, Joydebpur. Hossain, S. M. M., Abedin, M. Z. and Hussain, M. S. (1988b). Women role in homestead agroforestry in Bangladesh. Proceeding of the national workshop on Homestead plantation and agroforestry in Bangladesh, BARI, Joydebpur. Hassain, A. and Shailo, I. (1987). Deforestry in Bangladesh: Towards an Ecological Information ADAB News. Vol. XVII, No. March-April, 1989. Khan, M. R., Moula, M. G. and Abedin, M. Z. (1988). Creeper-host association in homestead vegetables production. Paper presented at the National workshop in Homestead Plantations and Agricultural Institute, Joydebpur, Gazipur. Khalid, F. and Bora, P. (2000). Changes in quality of pineapple fruit at different times. J. Food Sci. Tech. 26(1): 51-52. Kowero, G. S. and Temu, A. B. (1985). Some observations on implementing village forestry programmers in Tanzania. Inter. Tree Crops J. 3: 2-8. Lai, C. K. (1988). Design of Agroforestry systems with special reference to Bangladesh. Prob. Workshop on Homestead plantation and Agroforestry in Bangladesh, BARI, Gazipur, Bangladesh. Lawrence, J. H. and Hardostry, L. H. (1992). Mapping the territory: Agroforestry awareness among Washington State land Managers. In: Agroforestry systems, Development of National Resources, Washington, State University, Pullman, WA 9916406410, USA. 19(1): 27-36. Leuschner, W. A. and Khaleque, K. (1987). Homestead agroforestry in Bangladesh Agroforestry System. 5: 139-151. Linda, C. (1990). Homestead in the tropical Asia with special reference to Indonesia, In: Kathleen L. and Mark, B. (ed.). Tropical home garden United National University Press. pp. 921. Lundgren, B. O. and Raintree, J. B. (1982). Sustained agroforestry, In: Nestel, B. (ed.). Agricultural Research and Development: Pote Qtials and challenges in Asia, ISNAR. The Hague, The Netherlands. pp. 37-49. Mannan, S. (2000). Attitude of the rural women towards homestead agricultural production. M. Sc. Thesis, Dept. of Agroforestry, BAU, Mymensingh. Miah, G., Abedin, M. Z., Khair, A. B. M. A., Shahidullah, M. and Baki, A. J. M. A. (1990). Homestead plantation and household fuel situation in the Ganges floodplain of Bangladesh, In: Abedin et al. (eds. )., Homestead plantation and agroforestry in Bangladesh. Proceeding of a national workshop held. 17: 120-135. Michon, G., Bompard, J., Hecketsciler, P. and Ducutillion, C. (1983). Tropical forest architectural analysis as applied to agroforestry in the humid tropics. The example of traditional village agroforestry in West Java, Agroforestry System. 1: 117-129. Millat-e-Mustafa, M. (1997). Floristics and indigenous management technology of homegradens in Bangladesh. In: Agroforestry: Bangladesh perspective. Alam et al. (eds.). APAN/NAWG/BARC. pp. 34-63. Nair, P. K. R. (1990). An Introduction to ‘Agroforestry’. Kluwer Academy Publishers, ICRAF. pp. 37-54. Nair, P. K. R. (1993). An Introduction to ‘Agroforestry’. Kluwer Academy Publishers, Netherlands. pp. 45-57. Ninez, V. (1987). Household gardens: Theoretical and policy considerations. Agricultural Systems 2: 167-186. Okafor, J. C. and Fernandes, E. C. M. (1987). The compound farms (Homegardens) of South Eastern Nigeria: A predominant agroforestry system involving food and fruit tree with crops and small livestock. Agroforestry System. 5: 153-168. Okigbo, N. B. (2003). Plants and Agroforestry in land use systems of West Africa, In: Huxley, P.A (ed.) Plant Research and Agroforestry, ICRAF, Nairobi. P. 25-41. Pearson, P. J. and Stevens, P. (1989). The fuelwood crisis and the environment. Problems. Policies and Instruments. Energy policy, Butterwoth & Co.
Perare, A. and Rajapakse, E. N. (1989). A baseline study of Kandyan forest garden of Srilanka: Structure, Composition an utilization. Paper presented at the international conference on agroforestry, University of Edinburgh, July 1989. pp. 13-20. Poffenberger, B. (2000). Cold heaths and barren slopes. The wood fuel crisis in the Third World Zed Books Ltd. London. pp. 149-154. Rahman, M. H. (1995). Production of homestead enterprises. Implication on income and women’s status. Bangladesh J. Agril. Econ. 18(1): 99-105. Raintree, J. B. (2011). Resources of agroforestry diagnosis and design draft for comment. Working paper No. 7, Nairobi, ICRAF. pp. 394. Rebeka, S. K. (1994). An analysis of pattern of resources utilization and income generation in the homestead income generation in the homestead components of farm household in the selected area of Bangladesh. M.S. Thesis submitted to the Dept. of Agricultural Economics, Bangladesh Agricultural University, Mymensingh. Richard, P. W. (1979). The tropical rain forest Cambirdge University press, Oxford. P. 424. Saka, A. R., Bundreson, W. T., Mbekeani, Y. and Itinu, O. A. (1990). Planting and implementing agroforestry. For small-holderfarmers in Malawi, In: Budd et al. Planting for agroforestry. Elsevier Applied Sci. London. Sadat, M. N. (2007). A study on the homestead agroforestry of three selected unions of Gobindagonj upazila in Gaibandha district. Unpublished M.S. thesis Department of Agroforestry BAU, Mymensingh. Shalaby, M. T. (1991). Homestead productivity in new rural settlements in egypt: perspective on Kitchen Institute of Planting Studies, University of Nottingham, Nottingham, UK. Shabuj, M. B. H., Wadud M. A., Sharif M. O., Khan T. A. and Mandol M. A. (2010). Homestead Agroforestry Systems practiced by the farmers of Natore district. J. Agrofor. Environ. 4(2): 133-136. Somemarwato, O. and Conway, G. R. (1991). The Javanese home gardens. The farming system research extension. 2(3): 85-117. Stoler, A. (1978). Garden use and household economy in rural Java Bulletin of Indonesian Economic Studies. 14(2): 85-101. Strizaker, F. U., Islam, M. A., Shah, M. S., Murtaza, M. G. and Matin, M. A. (2002). Agroforestry management of Ganges Flood Plains and Sundarban’s Ecosystems: Proc. Nati. Semi., Khulna, Bangladesh. 16-18 July, 1994. pp. 77-81. Sudmeye, D., Hocking, A. and Islam, K. (2004). Trees as crops in Bangladesh paddy fields and homestead a success story of participator action and research. Inter. Tree Crop J. 9(6): 283-302. Sultana, R. (2003). A study on the plant biodiversity of homestead agroforestry under different socio-economic conditions of the farmers of two selected upazilla of Rangpur district. M. S. Tehsis, Dept. of Agroforestry, Bangladesh Agricultural University, Mymensingh. Uddin, N. S., Abedin, M. Z. and Quddus, M. A. (2002). Why farmer grows trees in Agricultur field some through, some result, In: Research Report 1900-1990. On-farm Research Division, Jessore, Bangladesh Agricultural Research Institute, pp. 161-178. Yasmin, R. M. A. Wadud, M. M. A. and Sharif, M. O. (2010). Tree diversity in the homestead and cropland areas of Madhupur Upazila Under Tangail District. J. Agrofor.Envi. 4(1): 89-92. Young, A. (1989). The potential of agroforestry for soil conservation, Part 11 maintenance of soil fertility, ICRAF working paper. 43: 252 -273.